07/01/2014: A motor vehicle stop in the 200 block of the White Horse Pike for careless driving resulted in the arrest of the 38-year-old male driver for being a fugitive out of the state of Pennsylvania. 07/02/2014: Shoplifting was reported on the 500 block of Clements Bridge Road. The suspect was an unknown male who stole two cartons of cigarettes. 07/03/2014: A report of a computer scam was taken on the unit block of West Gloucester Pike. The scam involved an unknown website making repairs on the victim’s computer for a fee. The resident realized it was a scam before they could be taken advantage of by the site owners. 07/03/2014: A report of an unknown male looking into cars on the 100 block of Reading Avenue was received. Officers searched the area but could not locate the male. 07/04/2014: A report of an apartment fire was received on the 400 block of Whitman Drive. There was a light smoke condition present and it was found to be a clothes washer/dryer belt that was the cause. 07/05/2014: A report of solicitors going door to door without a permit was received on the unit block of Trinity Place. Upon police arrival, the solicitors could not be located. 07/05/2014: A report of a strong odor of natural gas in a basement of a residence on the 500 block of Clements Bridge Road was taken. The scene was turned over to Barrington Fire Co., which assisted in locating a gas line leak in the laundry room of the residence. 07/06/2014: A report of harassment was taken in the 1200 block of Clements Bridge Road. 07/07/2014: A pedestrian stop in the area of the unit block of Moore Ave. resulted in the arrest of two males, ages 21 and 34, who had outstanding warrants for their arrests out of other jurisdictions and were each found in possession of a hypodermic needle. 07/07/2014: A pedestrian stop of a 27-year-old male in the 1200 block of Clements Bridge Road resulted in his arrest for outstanding warrants out of two other jurisdictions. 07/07/2014: A pedestrian stop in the 200 block of West Gloucester Pike of a 35-year-old male resulted in his arrest for multiple outstanding warrants. 07/08/2014: A call for a male and female smoking drugs to the rear of 1305 Hancock Drive was received. The call was investigated and the odor of suspected burnt marijuana was detected in the area but none was located. The 29-year-old male found on location was found to have outstanding warrants and was arrested. 07/10/2014: A motor vehicle stop was conducted in the area of the 500 block of Clements Bridge Road for a motor vehicle with a tail light that was out. The 40-year-old male driver was found to have multiple warrants for his arrest. He was arrested and issued multiple motor vehicle summonses. 07/10/2014: A report for theft was taken in the 400 building of the Barrington Mews. The resident had a plastic decoration taken off her apartment door. 07/12/2014: A noise complaint was received in the 400 block of Albany Avenue for a vehicle horn going off. The problem was corrected by the vehicle owner. 07/14/2014: A mobile inspection check point was successfully conducted on the 200 block of White Horse Pike. 07/14/2014: A motor vehicle stop in the 500 block of Clements Bridge Road resulted in the arrest of the 55-year-old female driver for being in possession of a large amount of controlled dangerous substances. She was also charged with other drug related offenses, resisting arrest and obstructing the administration of law. 07/16/2014: A motor vehicle stop in the area of Warwick Road and Tavistock Boulevard for speeding resulted in the 31-year-old male driver being issued several tickets and the 32-year-old male passenger being arrested for being in possession of drug paraphernalia and a hypodermic needle. 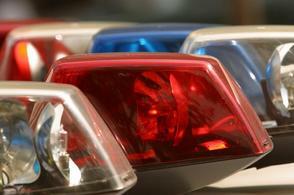 07/16/2014: A report for a hit-and-run was taken in the 600 block of Clements Bridge Road. 07/19/2014: A report of suspicious activity in the area of 1302 Hancock Drive resulted in the arrest of two males, ages 23 and 20, for obstructing the administration of law. 07/19/2014: A report of two suspicious males looking into vehicles in the area of the 200 block of Austin Avenue was received. The resident advised that he chased both males but that they got away. A check of the area was done with negative results. 07/21/2014: A report of a residential burglary was taken in the 1200 block of Mercer Drive. Multiple items were taken including a handgun. 07/22/2014: A resident in the 100 block of Trenton Avenue reported to be the attempted victim of a phone scam. 07/22/2014: A report of a possible burglary attempt was received in the 200 block of Courtney Drive. The resident came home from vacation to find a window screen bent up but entry was not gained into the residence. 07/24/2014: Large power outage in the area required Camden County Fire Police and Barrington Police to direct traffic at Clements Bridge Road and West Gloucester Pike and Clements Bridge Road and Atlantic Avenue for approximately two hours before power was restored. 07/29/2014: A motor vehicle stop was conducted in the area of Copley Road and Interstate 295 for a vehicle cutting through a business parking lot to avoid a traffic light. The 28-year-old female driver was charged with obstructing the administration of law and arrested on outstanding warrants. She was also issued several motor vehicle summonses. 07/30/2014: A motor vehicle stop in the area of White Horse Pike and Highland Avenue resulted in the arrest of the 31-year-old female driver for an outstanding warrant. The driver was also issued several motor vehicle violations. 07/30/2014: A report of a residential burglary in the 100 block of Russell Avenue was taken. The items taken from the residence were jewelry. 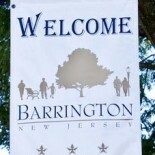 This entry was posted on August 22, 2014 by Barrington Bulletin in Crime and tagged police log.